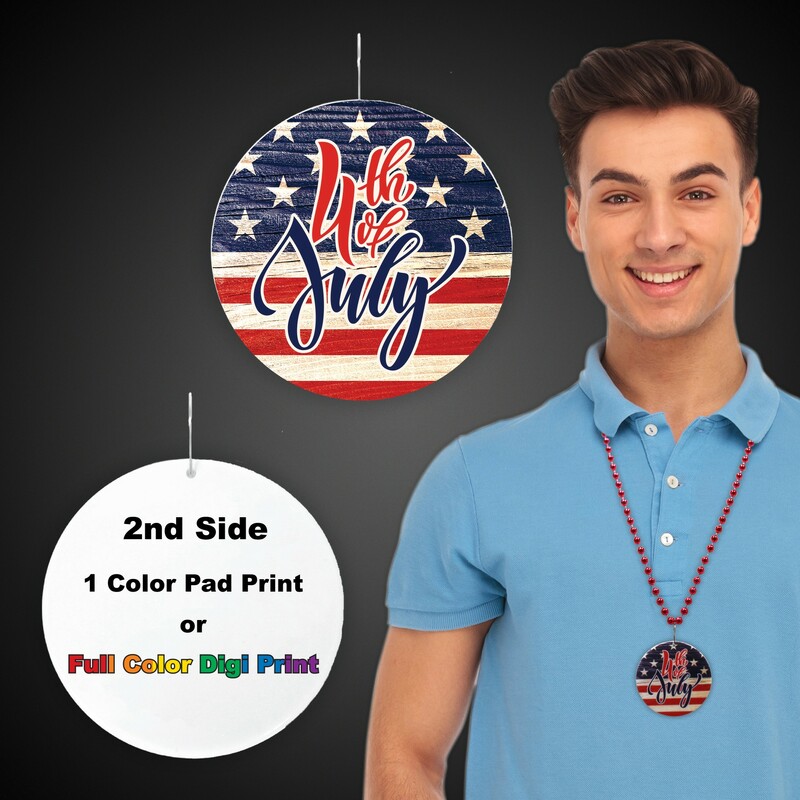 Our vintage Americana inspired 4th of July Necklaces feature a 2 1/2" plastic medallion with a gorgeous full color imprint. Each medallion comes attached to a red metallic beaded necklaces. Please order our Patriotic 4th of July Flag necklaces in increments of 12.